Join us for another spectacular evening travelling Australia's wine regions with our Meet The Winemaker event series. On November the 20th 2018 we will be hosting Clover Hill & Taltarni. Joining us for the evening will be Winemaker Ben Howell. This is a great opportunity to get an insight in to the wineries production processes, history, and to hear first-hand stories from those that create the wines for all of us to enjoy. This is the final Meet The Winemaker event for the year, we are limited to 40 places and they are selling quickly, so please call us on 0394381249 to secure your seat. $35 per person get you an intimate experience with hors d'oeuvres served up by The Vines Café paired with the selection of wines. We look forward to starting the silly season with you over a glass of sparkling! Join us for another spectacular evening travelling Australia's wine regions with our Meet The Winemaker event series. 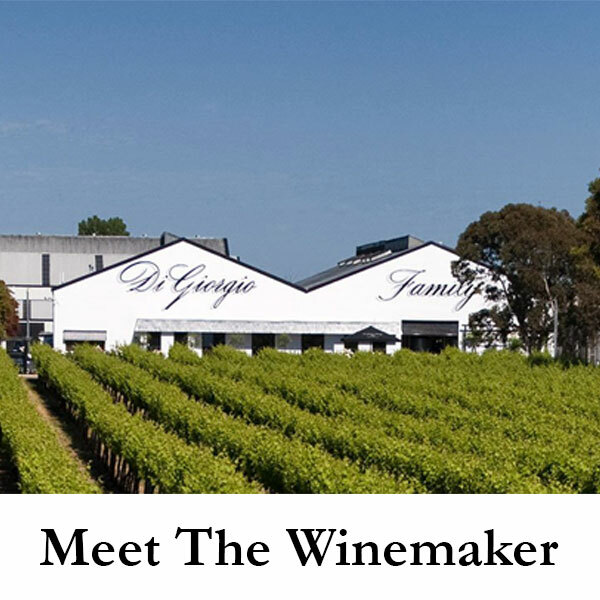 On September the 18th 2018 we will be hosting DiGiorgio Family Wines from Coonawarra, South Australia. Joining us for the evening will be Brand Ambassador Anna DiGiorgio. This is a great opportunity to get an insight in to the family's history, winery, and to hear first-hand stories from those that create the wines for all of us to enjoy. We are limited to 40 places and they are selling quickly, so please call us on 0394381249 to secure your seat. $35 per person get you an intimate experience with hors d'oeuvres served up by The Vines Café paired with the selection of wines. Anna joined the family business after several years as an Italian teacher in Melbourne, and is now the DiGiorgio Brand Ambassador for Victoria. 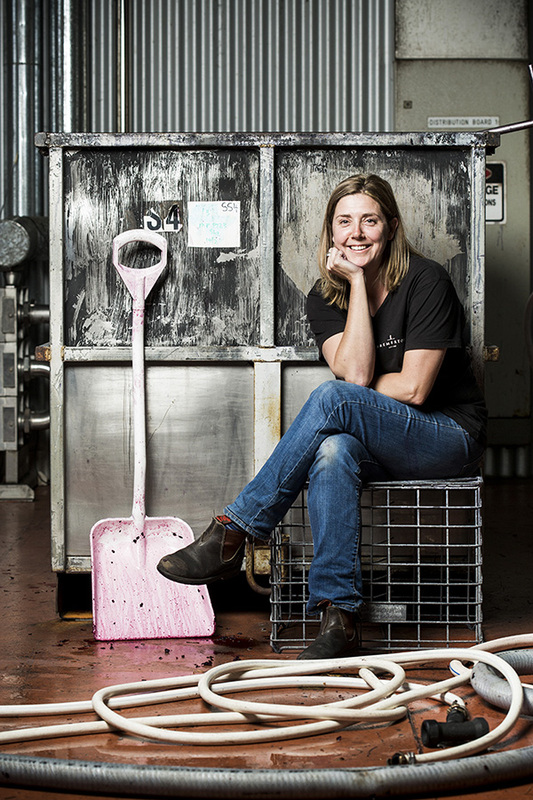 Anna is often seen in the DiGiorgio family wines cellar door in Coonawarra as well assisting during weekends and events. We look forward to sharing this great evening with you. 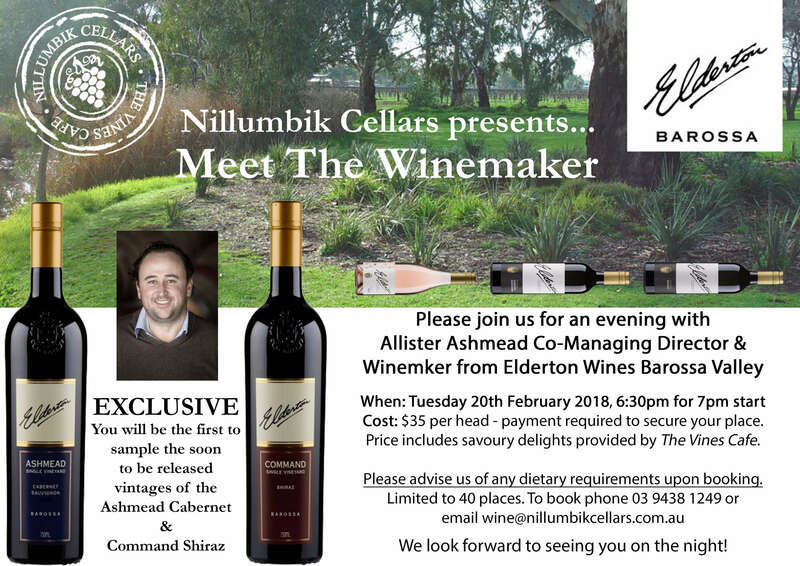 Once again we have another fantastic Meet The Winemaker event coming up on August 21st 2018 where Nillumbik Cellars will be hosting Rebecca Willson from Bremerton Wines - Langhorne Creek, South Australia. This is a great opportunity to get an insight in to the family winery, and to hear first-hand stories from those that create the wines for all of us. We will be featuring their Old Adam Shiraz & Walters Reserve Cabernet as well as quite a few more wines from their Signature, Museum, and Silhouette ranges. Places selling fast, so please call us on 03 94381249 to secure your place. $35 per person, with hors d'oeuvres served up by The Vines Cafe paired with the wines on the night. On Tuesday the 17th of July we have a special Meet The Winemaker with Majella Wines from Coonawarra in South Australia. This time we have the 'Prof' Brian Lynn - Owner and Son Peter Lynn Sales & Marketing Manager who will be here together to share the story of Majella, and it's wonderful wines. They may not be the winemakers but there is a true story to be shared, and great passion for their wines which you get to experience through our intimate events. SOLD OUT - We look forward to seeing everyone for another great wine tasting event. We have lined up some great wines from their range for you to try and all for the sensational price of just $35 including savoury delights from The Vines Cafe and let's be honest... this is the cheapest way to travel the country trying wines and it's right at your doorstep. Bookings essential so please call Nillumbik Cellars on 03 9438 1249 to secure your place, and mention any dietary requirements you may have. Coming up on Friday the 29th of June we host Behind The Bar with Tim Smith Wines from the Barossa Valley, South Australia at Nillumbik Cellars, 11 Chute St, Diamond Creek from 5:30pm to 7:30pm. This is a great opportunity to prop yourself at the bar and hear more information straight from the people who create the wines, it's informal, free, and once you have tried the wines you can purchase antipasto platters, wine by the glass or bottle and enjoy the relaxed social setting whish has become a regular for many locals who appreciate fantastic wines, at great prices. Tim Smith creates wines from his Barossa based winery that have critics singing their praise. Tim has concentrated on Rhone varietals and branched on some innovative styles along the way; using influences gained from numerous overseas vintages (Portugal, France and New Zealand). He has a talent for sourcing exceptional old vine fruit from the Barossa floor, and his Barossa Shiraz and Mataro Grenache Shiraz are some of region's most consistent examples of their respective style. Also watch out for his Bugalugs Shiraz which is a cracking entry level wine. Wines made under the deft hand of Tim Smith have won countless awards domestically and internationally, one of the more notable hauls was a staggering 12 Gold Medals at the Berlin Wine Show in 2010. The 2010 London International Wine Show also highlighted Tim’s winemaking prowess, he was responsible for 3 Gold Medals and 3 Best in Class, one of the latter being for the Tim Smith Wines 2009 MGS (Mataro Grenache Shiraz). With winter settling in hard and fast Tuesday the 19th of June is set to be a heart warmer as we meet Hamish Maguire Chief Winemaker & General Manager from Shottesbrooke Wines from McLaren Vale South Australia. We have lined up some great wines from their range for you to try and all for the sensational price of just $35 including savoury delights from The Vines Cafe. Make sure you call us to make a booking. Another exciting Meet The Winemaker coming up on Tuesday 29th of May with The Lane Vineyard from Adelaide Hills. Come along and meet Ben Tolstoshev and discover their wines, and the story about the wineries beginnings. Bookings essential, so please make contact with us to secure your place and advise of any dietary requirements. 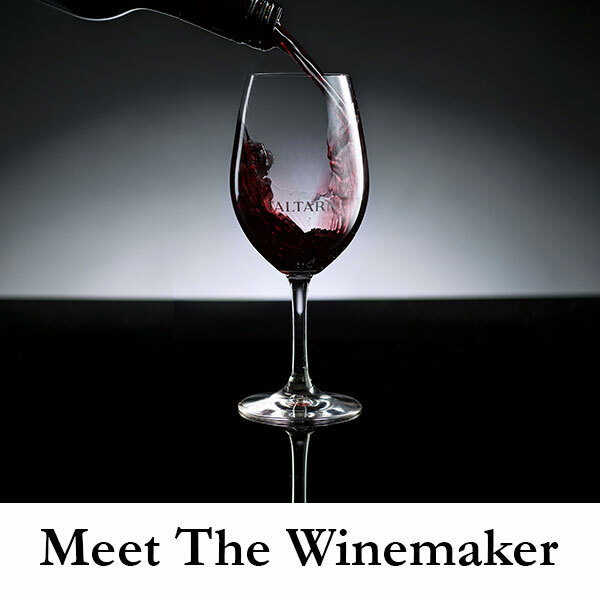 Coming up this Tuesday the 17th of April Nillumbik Cellars presents Meet The Winemaker with Geoff Schrapel from Bethany Wines in the Barossa Valley, South Australia. It's another fantastic opportunity we look forward to sharing with our customers, it's an intimate evening of wines from the Bethany range, along with delicious hors d'oeuvres prepared by The Vines Cafe. At $35 per person it is exceptional value. Bookings essential so please call Nillumbik Cellars on 03 9438 1249 to secure your place. Elderton Wines is located in South Australia's Barossa Valley. A region renowned for great big reds, something Elderton has in spades. Neil & Lorraine Ashmead moved to the Barossa in 1979, and sought out a homestead for the family. The homestead of choice in the heart of Nuriootpa was surrounded by extremely old Shiraz & Cabernet Cauvignon vines. It was during a period where demand for table wines was negligible and with 72 acres of derelect and little interest in it, the realestate agent eventually offered the Ashmeads the Vineyards as a bonus to the purchase of the homestead. Over the next three years they worked on restoring the vineyard and the birth of Elderton Wines.